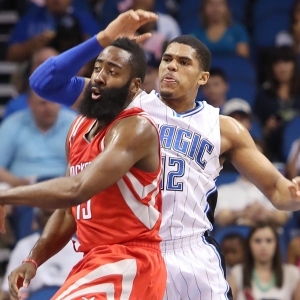 The Minnesota Timberwolves head to Toyota Center to take on the Houston Rockets on Friday. The Timberwolves are 4-0 against the spread in their last 4 games vs. a team with a winning % above .600 and 3-7 ATS in their last 10 games overall. They are 1-4 ATS in their last 5 road games vs. a team with a home winning % of greater than .600. The under is 5-1-1 in the Timberwolves last 7 games playing on 1 day rest and 4-1-1 in their last 6 road games vs. a team with a winning home record. The Rockets are 6-0 against the spread in their last 6 games vs. a team with a winning % below .400 and 8-0 ATS in their last 8 home games vs. a team with a road winning % of less than .400. They are 4-0 ATS in their last 4 when their opponent allows 100 points or more in their previous game. The under is 6-1 in the Rockets last 7 when their opponent allows 100 points or more in their previous game and 10-4 in their last 14 home games vs. a team with a road winning % of less than .400. Head-to-head, the over is 5-0 in the last 5 meetings and 5-2 in the last 7 meetings in Houston. The Timberwolves are 2-5 ATS in the last 7 meetings.